Born and raised in Hamilton, Kuwabara earned his Bachelor of Architecture degree from the University of Toronto in 1972. He worked at George Baird Architect and at Barton Myers Associates before co-founding Kuwabara Payne McKenna Blumberg Architects in 1987, the partnership that won the Royal Architecture Institute of Canada’s Firm of the Year Award in 2005. Kuwabara built an architectural career that has produced award-winning public and private buildings across Canada, the United States and in Europe. Known for creating understated, beautiful and highly functional buildings with seemingly simple aesthetics, Kuwabara has earned hundreds of awards for architectural excellence including a Governor General’s Medal for McMaster’s James Stewart Centre for Mathematics. He also received the Royal Architectural Institute of Canada Gold Medal in 2006 and was made an Officer of the Order of Canada in 2012 for his contributions as an architect. His projects include cultural institutions such as Canada’s National Ballet School, ecologically innovative concepts such as Manitoba Hydro Place in Winnipeg and educational research facilities such as the Joseph L. Rotman School of Management. He was also the design architect for KPMB of the Canadian Museum of Nature in Ottawa, the TIFF Bell Lightbox and the TORONTO 2015 Pan Am/Parapan Am Games Athletes’ Village, now known as the Canary District. His current projects – scheduled to open in 2017 – include the new Kellogg School of Management at the Northwestern University, 20 Washington Road at Princeton University, the Ronald O. Perelman Center at UPENN and the Remai Modern Art Gallery of Saskatchewan. 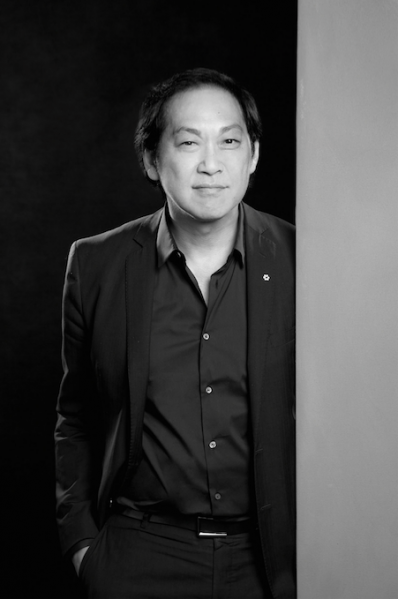 A strong advocate of Canadian architecture and architects, Kuwabara has held teaching positions at the University of Toronto, Harvard University, the University of Waterloo, and Cornell University and continues to serve as a critic and guest lecturer at universities across North America. He also continues to serve on competition and award juries in Canada, the United States and Europe. He is the Chair of the Canadian Centre for Architecture in Montreal and a Member of the Campaign Cabinet for the University of Toronto’s Daniels Faculty of Architecture, Landscape, and Design. Since 2005 he has served as the Chair of Waterfront Toronto’s Design Review Panel.